About three or so years ago, a beautifully delusional Falak sat pretty in her bedroom, secure in her love for Salman. Even as everybody around cautioned her about her choice, warned her that in her obsession for him she was attributing qualities to Salman that he did not possess. He was not the epitome of perfection that she was making him out to be. Naani reprimanded her that she was turning a mere mortal into divinity – he could not give her all that she wanted, neither could he be all that she wanted. At that time, however, Falak had easily swatted away those pesky rebukes and naani’s naseehats; her silent response to all these unsolicited mushwaras: They who admonish me have not seen him, he who is my haasil-e imaan; they have not seen my beloved the way I have. No matter how much other beauty there is around me, I see none of it; everything pales in comparison to one glimpse of my beloved. Fast forward to today, all those long-forgotten thoughts came crashing back, hitting Falak like a tidal wave, as she came face to face with her rival, Tabinda. Here it was, the ultimate truth staring her in the face. It didn’t matter who Tabinda was, what her physical appearance was, what her social status was, nothing was important, nothing mattered. What mattered was that Tabinda mattered to Salman. Salman had become today what Falak had been three years ago – blinded, infatuated, led to see things and appreciate qualities that perhaps do not exist in the person standing before her. Excellent placement of Asghar Gondvi’s kalaam, magnificently sung by Abida Parveen, first in episode 8 and then today, to highlight the stark change in Falak’s predicament. Stunned by the magnitude of this discovery, hit by the force of the truth reflected in the mirror called Tabinda, Falak appeared to be at a loss for words, all she could do was to stagger out of the office. Haunted by echoes of the faqir’s long forgotten words, trying desperately to wash off all the grime that seemed to be sticking to every part of her body, Falak began to transform inwardly. That one look in the mirror had done for her what years of naani’s naseehats could not do. She realized for herself how helpless humans actually are, we might think we know it all and do it all, but ultimately it all boils down to that one benevolent glance from the ultimate Beloved. For Falak, the journey, from wujood to zaat, had begun. Evolutions/transitions, call it what you may, are by their very nature difficult, more so here, in Falak’s case. This is not about the changing of a job, or a house, or a lifestyle, this is about Falak taking stock of her entire life and realizing that everything she once held to be true is based on a flawed understanding of the whole picture. In reality she is smaller than even the smallest of specks, a mere nothing. As Falak begins to see glimpses of the profundity which had eluded her before, she is overwhelmed, overcome by a feeling of nothingness, filled with a sense off utter loneliness, not knowing where to turn, and whom to seek guidance from – so much to take in and so much to re-evaluate. Falak, who’s never had to deal with anything of this magnitude cannot deal with this and suffers a nervous breakdown. This situation, that Falak finds herself in, is it merely her mother’s fault, or is it the whole social set up that we live in that causes us to obfuscate the Truth and spend an entire lifetime deluding ourselves. Important questions, beautifully posed. Once the introspective process begins, Falak cannot but help question what went wrong where. The scene, about the mard being a darwaza, and how it is the woman who hands him the power over her soul, her self-esteem, her entire sense of being, was beautifully done. Mahira Khan was exceptional in this episode, her silent confrontation with Nadia Afgan, the shower scene, her breakdown, her dead-eyed look in the hospital and later, as if a light bulb had been turned off inside of her, were all applause worthy moments for me. The particular scene, sitting by the pond, where she is ostensibly talking to Mehrunnisa, but perhaps more just talking to herself, caught as she is a maelstrom of emotions, was simply exquisite. Mehrunnisa’s perturbed expressions, as her formerly flighty daughter went on and on, about things that Mehrunnisa herself was at a loss to understand, were outstanding. Hina Bayat has been fabulous throughout, her confrontation with Mikaal, in the hospital, was amazing, but her scenes with Mahira and Samina Peerzada are something else altogether. The chemistry between this talented trio is lip-smackingly delicious. The final scene, where Mehrunnisa brings naani to see Falak, was wow – just wow! I’ve watched this scene, ending with the shot of the three women standing in silhouette, quite a few times now and I get goose bumps every time. I’m not a huge fan of voice-overs, but for once I was completely sold. The juxtapostioning of the dil ajeeb shai hai naani lines with the shot of a teary-eyed Falak, as she slowly got up to meet naani, who waited with her arms outstretched, while Mehrunnisa looked on lovingly, was such a brilliant way to end an exceptional installment. Kudos to Khizar Idrees, Sarmad, Mahira, Hina, Samina, and the techies involved – what a gem of a scene! While this is primarily Falak’s story, it is also the story of all those around her, not only her supporters, her parents, naani, Rushna, and Hamza, but as much a story of those who place obstacles in her path as well – Salman, aka the darwaza, being the biggest one. Mikaal is simply superb, not to mention unquestionably drool-worthy, as the arrogant, uncaring, unfeeling husband who has zero qualms discussing a divorce while his wife recovers from a nervous breakdown. There is absolutely no remorse in his expressions as he cold-bloodedly informs his parents he has done no wrong. Similarly there is not even an iota of guilt in Tabinda’s body language, first in her meeting with Falak and later in her nonchalant phone call with Salman. Though Nadia Afgan is spot on as the uncouth Tabinda, my problem is that I find her too adorable to be annoyed with her as shohar chor, chalak aurat. Sigh! I guess I’ll just try a bit harder to hate her the next time I see her as Tabinda. After all this, do I need to say that every week I find myself a little bit more in love with Shehr-e Zaat? Umera Ahmed and Sarmad Khoosat, take bow! wow wow wow what a review i was totally spellbound reading it.Hats off you have a way with words i am so glad you have not stopped writing they way you preciously knit the words amaze me.Again a fabulous episode.Mahira really stole the show today,she is such a refined actor,who is suffering from baseless criticism. When she was sitting with Mehrunisana her half slept drowsy state of mind was so accurately depicted . And when nanni came in the end i really had chills in my spine it was a really special moment and i the dialogues in the background were just beautiful all reminding us how the stage was already being set out for this.Reminds me of a qaul of Hazrat Ali ‘main nay apnay iradon kay totnay say khuda ko pehchana hai’ .It is when against our perfect planning that we fail we realize what was the missing part of the puzzle. The introspective dialogues of Mahira with her mother of mard being darwaza and aurat constantly trying her best to measure up to him were again an expression of how badly she has been hurt. But the show stellar moment was the final scene in mere seconds the three women left a lasting impression on my mind.Mahira expressions when she turns to nani the tears in her eyes,the helplessness, phenomenal,and the calm felt that nani presence gave the whole scene i am just so intrigued how in just a short span of time they were able to convey so many meanings. Loved it,loved the review. Yes, girl, that last scene was something else altogether! But then as @Hasan mentioned, the shower scene and the one by pond were lovely as well. So fabulous that we have so many great scenes to enjoy again n again! 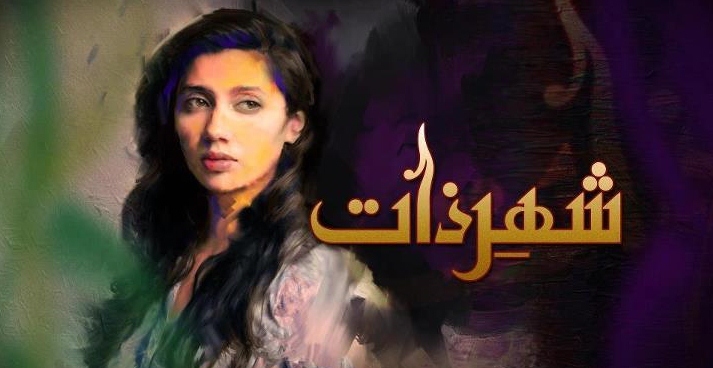 I am feeling short of words firstly to praise you for writing such excellent review and secondly for all actors in this serial.Mahira was undoubtedly show stealer for today’s episode.Her Shower scene and pond scene were one of my favorites.. I also dont like voice over much but loved it in this episode. Dil ajab shay hai Nani ajeeb ajeeb kaam karnay ko kehta hai. When Falak and Mehrunnisa met at hospital Mahira’s acting was phenomenal. Azmaaish ayi hai mujh per main khud hi layi thi azmaaish. Thank you Hasan – your kind words are much appreciated! Wah Wah…one of your best reviews yet me thinks:)) You pretty much covered e erything, but I still dis.t get my outfits yet:p Poor Falak, her expressions were enough today, totally perfect. How she walked away from Tabinda, so well directed. I bawled my eyes out with her on the phone, really felt her pain. Mahira was superb! Totally agree with loving the final shot, so classy and beautiful. Amazed by the talented Sarmad and the photographer…brilliant! So Falak is finally realizing her mistakes, that is an achievement9 in itself, not many do even if bad things do happen. She is at least thinking about the whys and what she did wrong. Looking forward to Hamza coming back, lets see how he responds..and I hope salman goes and pours the tezaab on himself…loser. Tabinda totally looks like she’s playing him….lol at salman caling her a million times…deja vu of Falak to salman…and hamza to Falak in the earlier episodes. Is that what infatuation does to you…I think they all have issues and all need to go find their zaat…seriously dude! I think you can start teaching a course on Shehr-E-Zaat now. Seriously! What an absolutely phenomenal episode and an outstanding review! SZ you need to take a bow along with Sarmad, Mahira and the crew. I am blown away by the performances, the scenes, the dialogues from today’s episode. I think I need to watch the episode a few more times to take it all in. My only pet peeve is Hamza. Why did it have to be Mohib Mirza? Especially when he’s playing a creep simultaneously in Zard Mausum. LOVELY LOVELY Review! I went back and read some parts again just to absorb it very much what I do with some of the scenes of SeZ. Mahira was brilliant today. I know I said this when Humsafar was on but boy she is one actress who looks so pretty without makeup and just like a sweet princess when she is sleeping (MashAllah) I think she really got the shower scene and the pond scene just right! Beautiful! And what beautiful and meaningful words about mard being the deewar and the aurat providing him with love, support, nourishment, shade being the “bel” WOW WOW!! Two thumbs up Umera! What an award worthy performance from Mahira as Falak. Her lost look. Like you said you could see the feeling of nothingness on her face and through her emotions. @SK – lol I so agree about the tezaab and Salman. Gosh in some ways he’s worse than Falak. Atleast Falak did not lose her morals. Salman has lost everything – respect from everyone and Tabinda is definitely taking him for a ride lol Paisa kha ker she’ll run away! I am already sad that only 4 more episodes to go and then we’ll back to being dished out mazloom aurat zaalim mard cr@p again. Yaar loved today’s episode! Everyone is so amazing and definitely gave their best! One of my favorite episodes ever! But I have one problem, why are they making Salman so horrible in the drama?! He wasn’t arrogant or hot-headed in the novel and also, he used to visit Falak in the hospital as well. It’s not fair they are making him look so bad! MK was great! The shower scene where she thought of the fakir, naani and Hamza was brilliant! Loved it! Fantastic review i must say and what an episode this was Woooowww!!! Mindblowing!!!! Mahira khan was just superb!!! So was all the supporting cast. Special mention to Abida perveen’s voice in the background. It was so beautifully placed on both the occassions that i couldnt help myself but cry. The hospital scene when Falak finally wakes up was terriffic…how she started crying, i could really feel her pain and helplessness. Last but not least ‘the final scene’ was absolutely brilliant. These three finest actors left a lasting impression on viewers minds qithout even saying anything. Mahira’s expressions were so realistic and the group hug, i wanted to join them in that hug right there. All in all, i am in love with this drama all over again after watching this episode. I so agree with Nadia ;”I think you can start teaching a course on Shehr-E-Zaat now”. What an outstanding review! Like I had written in one of my previous comments : Shehrezaat team must thank you for explaining each and every scene so beautifully. So you too should take a bow! Loved the episode. Mahira was superb in this one! She was totally in tune with the character and we felt her pain. Each actor was fantastic. My special congrats to the Director of Photography. Rarely, does one see a serial which is so pleasing to the eye.Each scene is done with so much of aesthetic sense that it leaves a lasting impression. The pond scene, the play of light and darkness, the loneliness in Mahira’s eyes and the beautiful dialogues!! The genius of the writer, actor, director and photographer – all came together in that one scene! Hats off to the team! Oh you’re so right about the pond scene– the lighting and the rippling water reflected on Mahira’s face was just wah wah!! Thanks guys! I’m really touched by all the kind words:) As I told Jawaria ^ with this particular review I honestly thought I was rambling and would totally put you off, so I’m particularly gratified – much appreciated! LOL@ the tezaab and Salman, agreed! Isn’t Mikaal so fabulous as Salman that he can incite such rage in us! @Nadia: Agree, I so hate it as well when we see the same actor in every other serial – completely spoils the charm. I realize the actors dont have a choice in when their serials air, magar phir bhi 😦 Thats why I applaud Mahira, Fawad, Sarwat, and Adeel, for being very selective. @Ghada: LOL!! you’re just too cute with your Salman mania! How are they showing him worse than he is? Come on yaar, he’s having an extra marital affair and is now dumping his wife, how can there be an excuse for that! But again kudos to Mikaal for being fab + looking droolicious to boot! @Mavra: Hey! Welcome! Great to have you on board – hopefully we’ll continue seeing you here 🙂 Yes, the hospital was really good – when watching it again last night, I was completely blown away. Btw, did any of you get irritated with the horrible background music playing during the scene the parents were talking? Considering that it followed right after the hospital scene, it was so off-putting that I wanted to hit somebody on the head — editors or whoever is in charge of he music, please thora haath haula rakhen … we do not need loud dramatic music in every scene!! Omg forgot to add that when salman asks Falak about seeing Tabinda, that whole s veneer was the music when Ashar is reading the letter…I can’t get away from Humsafar even when I try…my god why do they do that!!! I know!!! Along with Aunty Fareeda’s wardrobe, the background music should be retired as well, borrowed or not!! I agree the loud music along with the Humsafar music needs to be stowed away in a time capsule not to be released for another 20 years. @Annie, arrey yaar dont give up so easily, abhi ZGH hai na 😉 I usually never look forward to serials like this, b/c they usually turn out to be disasters, but ab after Ashk tou I think “your” Fawad bhaii owes us big time!! Did you hear he’s doing the OST as well? Now I dont know whether I should be sad that SeZ will end in 4 weeks, or should I be happy ke ZGH is starting right after? What do you say? I am not holding my breath for ZGH. I know Fawad will do justice to his role. I cannot picture Sanam Saeed playing a lower-middle class girl with her accent. Hopefully Sultana Siddiqui has done some work on her Urdu diction. But I was looking forward to the Neelum-Fawad pairing which now has been completely ruined for me. Glad to hear that FK is doing the OST for it. Should be interesting 🙂 I hope they have put some twists in the story because I found the actual text quite bland and skip-worthy. SZ, it is absolutely great to have you back! SeZ without SZ was indeed incomplete. p.S SZ we missed you a lot!! Awww — thank you, thank you, thank you.. I’m so touched!! Happy you found this blog and am glad you’re enjoying my reviews – much appreciated! I agree with your reading of the story. I read similar comments as well, and I always wonder if Im the one who is cuckoo for enjoying this serial as much as I do. For me SeZ is like the classic Sufi parables, the kinds we read in Rumi’s masnavi etc, where there is an apparent story, for instance the famous one about the blind men and the elephant, or the one about a king and his feuding sons, etc. And underlying this ostensible story is another one that conveys a deeper underlying msg. What we call the text and the subtext. And I think this is problem, where one see the apparent story of Falak and her marriage and divorce, one can also see this as a metaphor for man’s journey towards self actualization. And, this makes it a very complicated story to tell, convey, understand and appreciate – and here, I think Sarmad’s doing a fabulous job conveying the text and the subtext. A brilliant review as usual. I just finished watching the episode and am still in a state of awe. What an amazing episode! Mahira was out of this world, not that I ever doubted it. I agree totally with Annie, she is one person who looks beautiful, no matter what state she is in (mashallah). My favourite scene was the pond one, where Falak is going on about the devar and the bail, simply superb! @SK: agree with you about Salman and the tezaab. He deserves it! @SK, see what you’ve started LOL! now zka’s on the tezaab for Salman bandwagon!! Oh i am so happy to read your review SZ. Seriously SeZ was incomplete without your review. Missed you alot. Review is zabrdast as always. This episode actually requires a deep analysis that you have wonderfully done. For me the dialogues and falak’s sudden insight into how helpless we are if Allah want something to happen or not were the highlights of the episode. Such changes often come drastically as everyone might have a moment in life that changes the meaning of whole world for him/her. Those who effected by the moment and understand the actual meaning of life are the blessed one’s and those who let this moment passed away are unfortunates. Mahira has done wonders with her acting in SeZ. Marvelous expressions. From Humsafar to SeZ she has improved alot. The shower scene was my most favorite. And all the rests were also superbly done.This episode creates a feeling which i might not able to describe. The Umera’s dialogue were so heart touching and though provoking. I am turning into her biggest fan. Sarmad khoosat has done excellent job with SeZ. And must say Khiser idress also has done his job to perfection in creating such an artistic touch with all the visuals…beautifully done. Yaar, seriously there is something special about feelings evoked by SeZ – I wouldn’t describe it as sadness, but more introspective, more reflective … of course the credit for all this goes to the talent behind this lovely project. Loved this episode! Everything was so perfect, the acting, the scenes, and most importantly the pace of the story. I totally agree that looks aren’t everything and there is more to a person but Tabinda does not even have an attractive personality, so one can only wonder what attracted towards Salman to her.But her line about “mard Allah ke samne hazir ho ke apne nikaah mai aurat ko leta hai, toh woh biwi ki term se itna chirta kyun hai” Clearly she’s even more of a difficult person then Salman is but God has blinded him and he won’t see that. Mahirah Khan was amazing in that silent scene, no words but told an entire story with her expressions and body language, as did Nadia Afghan. When she recalled the words of the fakeer “mard darwaza hai” everyone wondered, that how a person like Falak even remembered those complicated words, but it shows that entire conversation stuck to her and would be the wake up call in the near future. Her stopping at the park where there is a rag hanging off the tree was simply to show her coming to a realization that her fancy clothes and good looks and being so well dressed ultimately has no real meaning if her end is going to judged on her zaat, not her wujood just like the fakhir said. She was so lost at the time thats where she ended up and it reminded her of his words. The phone call scene right before the nervous breakdown was one of my favorites! when one is angry they tend to blame others for everything that is going wrong just as Falak feels its her mom’s fault for not showing her the right path. But the truth is, is it really her mother’s fault or her owns? Insaan toh Khuda ko khud dhoond tha hai, apne andar, until they finally feel that God is truly inside them and that is between the person and God. No other person can help them or make them realize that. Naani ki soh hazar naseeatain nahin kaam aayen so how can her mother be of any help. It is only when a person comes to terms and realizes it on their own do they find peace. I am sure there are many selfish people out there in the world like Salman. He didn’t care for Falak then, why would he care for now. Ab konsa jadoo chal gaya tha? Mikaal Zulfiqar has nailed the character, a true depiction of a jerk. But is he wrong? No he is not wrong because from day one he told Falak he was a difficult person and this marriage wouldn’t bound him from his freedom. Just like Falak was selfish to marry him bc she couldn’t see past him, he was also in search for that person that “hypnotized” him. So yes when he says “Falak uski waja khud hai agar woh kise takleef mai hai” She put him on that pedestal so takleef bhi to Falak ko hi honi thi na. Now Falak’s transition has officially begun as she sits on the dining table and says Salman won’t come because its her azmaish thats she’s in all because of her. For me, the most complex scene was the one where she, for the most part talks to herself out loud while her mother sits there at the pond. I had to watch it over and over again to finally understand that analogy. Why is it that a woman can’t see past that man?? Abhi jab Salman wont be able to see anything past Tabinda, would Tabinda be the darwaza?? the last scene as @SZ mentions in the review was just in one word, AMAZING!! Every time i watch it, i become teary eyed. You can feel the pain that is on Falak’s face and her expressions all make it seem so real. Dil Ajeeb shai hai, magar hum phir bhi dil ki khawashion ke peeche bhag te rehte hain aur jab thak dil mai Allah nahi ajata hai, woh ajeeb hi rahe ga.
How perfect was Naani’s line about “pereshani ko batatain hain hamara Allah kitna bara hai” at that moment …All of her naseeats will come back as a tidal wave in Falak’s life and we will see her make that transformation of finding God. really interesting question Ash Tabinda will as much of a darwaza for Salman as Salman fo Falak,i guess the lesson should be not to pit women against men but when we put too much emphasis on any mortal and can’t see past the worldly passions our desires start working as stone walls stopping us from seeing the bigger picture. I agree The last scene of three women was simply awesome.I already had read the novel so I kind of know the story and even before friday’s epi this particular scene was my favourite ( as they usually show this in trailors or in OST).The person you love the most is the one who you needed in time of remorse and helplessness that was beautifullly shot and directed by Sarmad.Kudos to the whole team. Beautiful review of a beautiful episode – Infact this was one of those perfect episodes! But while watching it I’d hoped falak would say something to tabinda but I guess she was too shocked to say anything. You’ve all said this already but here I go again- I love Mikaal as Salman! Finally I’ve started hating Salman for the way he treats falak, knowing she is having a nervous breakdown he still doesn’t show any remorse. My fav scene was the phone to call her here mom and the way falak just collapses in Salman’s arms (the only decent thing salman did in the whole episode was to atleast catch a falling falak)! Also can’t wait for ZGH to start 🙂 Bring on Zaroon!! Today is the anniversary of “Kuch pyar ka pagalpan” and tomorrow 24th sept would be the annv of Humsafar’s start! Hai….I’m still living in those worlds…. Oh Afia, You read my mind….Both my All time favourite dramas. KPKP deserved way more success than it got. That drama was an unpolished Gem . Humsafer ….oh Humsafer …. what more can I say to add to your brilliance.PLease guys join me in a campaign to get a sequel to KPKP from the great Samira Fazl. Dear SZ, I have been kind of busy with a Funeral of a friend, but I want to thank you for your generous encouragement. Your review, it goes without saying, was at it’s usual level of excellence. It’s a blessing that Pakistani dramas have reached this level that we can share in the pleasure of watching them. Humsafar was a milestone foe our industry,i still remember the first time students started discussing Pakistani plays with pride.Thanks for reminding me of Fawad’s post Ashk misery days and all the reasons i found him so adorable.Don’t worry SZ zindigi gulzar hai will not disappoint. 🙂 anyhow i am so on SEZ bandwagon now but still loved humsafar as something unique. Thankyou SZ!! I completely agree – SeZ was incomplete without SZ! You are tuly an exceptional writer and immensely generous to boot. From Humsafar to Mata e Jaan to Shehr e Zaat you have been exceedingly kind to me in particular but your understanding of the emotions & psyche of various individuals and in the case of SeZ, reading between the lines, is truly marvellous. This was a very difficult project for everyone associated with it. We wanted to bring out the true meaning of zaat, wujood and ishq e haqiqi without endorsing fundo concepts that do not have the vision to see beyond the obvious. Spirituality and belief are the essence of deen and qana’at its best manifestation. That is where Mehrunissa went wrong and failed to instill it in her daughter. This is a common flaw in our society today – the desire for more and the belief that we can have it all is almost a challenge to our Supreme Creator. I hope SeZ will help us to reflect on the values we are fast losing in our society. Thankyou ALL for loving that ‘group hug’ – it was my favourite scene too!! Mahirah and Samina apa are gems that my heart bonded with – but without Sarmad & Khizar and our driving force Momina, SeZ would have been impossible! Hina Ji, just want to say, you are an amazing actress and I really enjoy your performances. The beautiful bonding that has been shown between Naani, mother and daughter has bern a treat to watch, so real and pure. You are all brilliant! So glad SZ gives us such amazing rewiews to reflect on, and is rightly being recognized amongst the drama circles! Can’t think of anything intelligent to say now, so will just request you to please keep reading and commenting, thrilled to have you visit. Its fabulous to hear from somebody so closely associated with this project that we’re all loving so much. From all the comments, it is clear to see that all the love and hard work that has gone into this project is very much evident and is being appreciated by discerning viewers. We are thrilled to finally have a serial that we can engage with on so many levels. Without being preached to, we are compelled to think and reflect on so much – every line has so much to unravel and every frame has so much to say, its impossible to do anything else during this one hour. Indeed, the SeZ team is walking a very fine line and treading on eggshells in narrating the story the way it is being told, but congratulations to you all for keeping it real and sticking it out and not turning Falak, Mehrunnisa and Naani into caricatures. I know that by now I sound like a broken record, but team SeZ, you guys rock!! Hina, So excited and happy to see you here. Admire your work and SeZ but I wanted to add that I love your wardrobe in SeZ . Your shirts are so well designed, I look forward to seeing what you’re gonna wear in each scene 🙂 You carry them beautifully. I am surely the last one to comment.. but SZ, this was beautifully written review, have read it twice.. and thank you for always explaining complex things so easily:) It was once again wonderful to read your review! From starting of episode till it ended, i couldn’t even touch the remote to change the channel during advertisements. Abida Parveen’s kalaam was so moving and the expressions of falak were worth noticing and admirable, recalling of Fakir dialogues always give me goosebumps.. specially the line ‘Mera Rab, mujhe nahin dekhe ga, mera dil dekhe ga’.. the shower scene was so aesthetically done in terms of direction and action.. The way Falak expressed her anger to Mehrunissa was one of the best scenes of episode, was so relatively right. Mahira Khan- hats off! Heart to heart talk between falak and mehrunissa was my favourite scene, i personally loved those dialogues of Deewar , Bail and Darwaza.. and last scene was Scene of episode, the way falak hugged nani made me so emotional and the voice-over.. Sarmad is amazing director..
And, oh yes i also love the scene between Nani and Mehrunissa.. specially the way nani says ‘ nahin nahin Rab aisa nhn he, vo to Rehman he, Raheem he’, i felt shivers running down in my spine.. Sameena Pirzada.. no one could have acted better than you as Nani.. Yes cannot wait. TGIF !